Although more common in children, strep throat is a bacterial infection that affects the throat and tonsils. Whether you are a child or an adult, it is always important to seek medical treatment if you have strep. Left untreated, strep can progress to scarlet fever or rheumatic fever. Children with strep may also experience headache, stomach pain, nausea, or vomiting. A medical professional, like the ones at Advanced Urgent Care & Occupational Medicine, will evaluate your symptoms and perform a rapid strep test or throat culture if necessary. Antibiotics are typically prescribed to treat strep. Keep in mind that strep is highly contagious. If one member in the household has strep it is likely to spread to all members of the household. 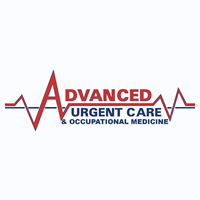 Stop by Advanced Urgent Care & Occupational Medicine in Brighton, Northglenn, or Fort Lupton, Colo., if you think you or your children might have strep throat. Our medical providers can assess your symptoms and get you feeling better sooner. Susie battled her breast cancer for more than two years. The uninsured medical expenses destroyed her financially. 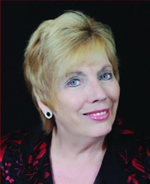 Overwhelmed with debt, she liquidated all of her assets in an attempt to pay the huge bills. It was not enough. Sadly her parents died just as she received the news that she was in remission. Her parents left her a substantial inheritance that would allow her to get back on her feet. Then she learned the bad news. Her creditors could attach her inheritance as soon as she received it. Even if she filed bankruptcy she would lose what her parents left her. Then, came the surprise. When she met with the attorney, she learned that her parents left her inheritance to her in trust. While she would receive the benefit of the assets, her creditors could not touch them. She was thankful that her parents had taken the time to plan their estates effectively, rather than just taking the simplest course. Bill and Jane thought they did not need estate planning. 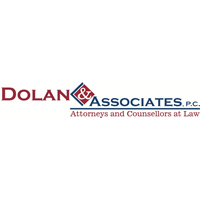 Why not just put a beneficiary on everything, because “it is simple and avoids probate.” Thinking about protecting their daughter, they sought guidance from a counseling-oriented attorney who took time to learn more about them, their estate, and their goals. Their primary objective was to protect their daughter after their death. Even though they never anticipated she’d get cancer, under their estate plan, their savings, life insurance, and home would be put in trust. As it turned out, the plan protected the inheritance from her creditors, and provided the opportunity for a fresh start following her battle with cancer. If you would like to learn more about an effective estate planning process that is producing great results for families, visit: www.EstatePlansThatWork.com to sign up for a complimentary educational workshop. For some, March is a month to celebrate St. Patrick’s Day and March Madness. To me, March has always been a month to honor my dad. March 22nd was his 67th Heavenly Birthday and we held a fundraiser at Big Choice Brewing & Pizzeria. Thanks to our attendees, we raised $1,440 in just three hours. With the funds collected, Ripbeams will send 607 beanies to kids with leukemia, all across the United States. Since Ripbeams began in February of 2018, we’ve collected 2,893 beanies and given them to kids in 30 states, plus Washington, D.C.
We also collected donations of 36 new Ripbeams and two large boxes of yarn. Another special thanks to KWGN Denver Channel 2 News who featured Ripbeams and Brighton DECA on their March 18th morning show to help us spread the word about our mission and fundraiser. Brighton DECA earned 1st Place with their “Warming Hearts and Heads” campaign at state competition and are on their way to Nationals at the end of April. You can learn more at www.facebook.com/ripbeams. The Rippy Agency is holding a collection drive to benefit Brighton Youth Association Baseball. 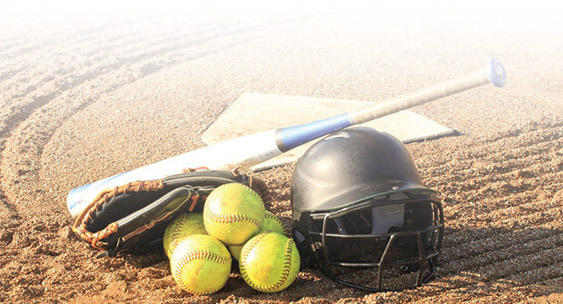 Drop off your new or used baseball/softball gear at the Rippy Agency and while supplies last, you’ll receive a free ice cream coupon, thanks to Cold Stone Creamery of Brighton. Don’t forget the 7th Annual Raptor Run is coming up at Barr Lake, Saturday April 13th, where funds will go to support future projects at the park. We are providing the runner’s goodies bags. See you there! Posted April 3rd, 2019 by TheBuzz & filed under News from our Advertisers. According to statistics (gathered by dosomething.org) 33% of deaths among 13 to 19-year-olds in 2010 occurred in motor vehicle crashes. Talking on the cell phone can double the likelihood of an accident as well as slow a young driver’s reaction time down to that of a 70-year-old. 1 in 5 of 16-year-old drivers has and accident within their first year of driving. Crash risk for teens increase incrementally with each mile per hour over the speed limit. What can be done? 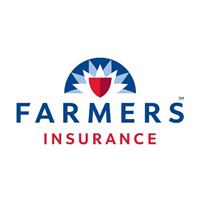 One-way Farmers Insurance has tackled this problem with technology. Our new SIGNAL© App not only discourages distracted driving, but also gives parents and guardians the ability to monitor a teen’s driving habits. 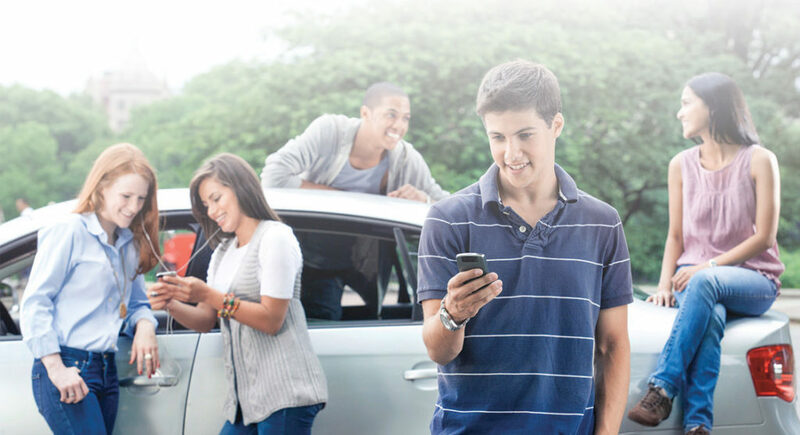 And Best of all, when used by a teen-driver, the SIGNAL© app can give the family an additional discount of up to 30% off auto insurance premiums! 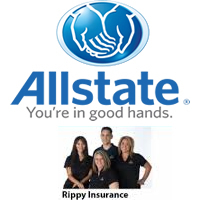 Call to find out how to help protect your family AND get great discounts! Do you have persistent sniffles and sinus headaches? Do you often wake up with scratchy eyes? Do you sneeze repeatedly first thing in the morning? Well, the answer may be found in your mattress! Dust mites, close relatives of ticks and spiders, eat skin cells shed by people, and they thrive in warm, humid environments like your mattress. It has been said that half of the weight of an 8 yr. old mattress is from your dead skin, dust mites and dust mite feces. That may be a bit of an exaggeration, but there could be some truth here. Dust mite allergy symptoms include sneezing, runny nose, itchy/red or watery eyes, nasal congestion, cough, facial pressure and pain, asthma related difficulty breathing, chest tightness and wheezing. What can we do to reduce the spread of dust mites? Replace your mattress every 5-8 years. The longer you own your mattress, the more chances you have for dust mites and their baggage. Use a quality mattress protector. This will help prevent the accumulation of human dead skin in your mattress. It also helps perspiration from soaking through to the mattress as dust mites are also attracted to sweat. Mattress protectors also help prevent the dust mites from entering the mattress itself. A good, quality pillow protector is just as important. Use a dehumidifier. Since dust mites thrive in humid environments, keeping your bedroom dry will make your bed a less desirable place to live. Wash your bedding (including comforters) weekly in hot water and use a hot dryer. Replace your foundation or box spring when you get a new mattress. Dust mites live in your box springs as well so replacing your mattress but not your foundation could lead to rapid recontamination of your new, expensive mattress. Dust mites are just a fact of life, but by following the above steps you can reduce the number of them in your bedroom and their allergy causing side effects. 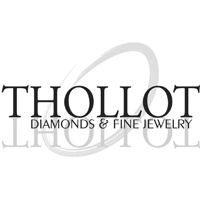 Thornton, CO – Thollot Diamonds and Fine Jewelry offers their customers a variety of possibilities when it comes to just what to do with their unworn jewelry. For those looking to simply cash out on their valuables, Thollot Diamonds offers expert gold and diamond buying services, paying top dollar to their customers. Another popular option is to restyle an existing piece into something new and exciting through Thollot’s custom design services. And for this month only, customers will receive an additional 20% on all precious metals when they choose to trade their old pieces and apply their credit toward a new purchase at Thollot. 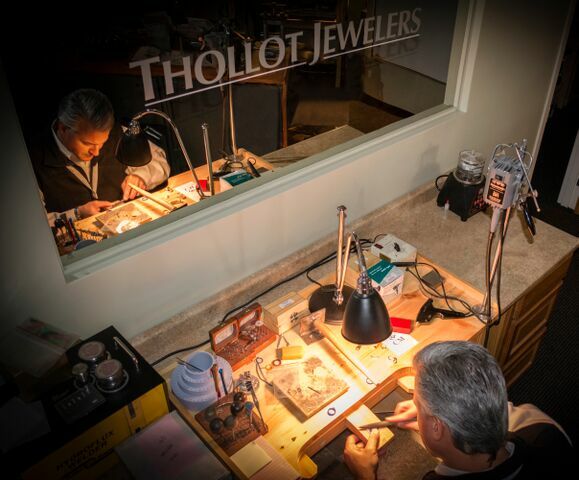 Thollot’s Trade in Trade Up event is the perfect time for customers looking to participate in exchanges like diamond upgrades or simply hoping to disencumber themselves of their unworn jewelry. The restyling of old jewelry is done beautifully by the expert custom jewelers at Thollot and should be considered by anyone looking to breathe life into an old heirloom or estate piece. No matter which avenue is chosen, Thollot customers get the most value for their pieces by spending their returns in store on a wide selection of new and custom jewelry. Posted April 2nd, 2019 by TheBuzz & filed under News from our Advertisers. 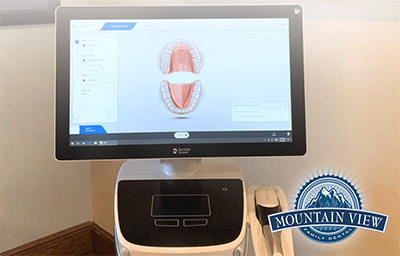 The team at Mountain View Dental is proud to announce our latest investment in advanced dental technology – The CEREC Primescan. We’re excited to offer the most technologically-sophisticated dental tools at our practice, and the Primescan device, our latest addition, is sure to be a game-changer for our staff and patients. How Does CEREC Primescan Work? CEREC Primescan is an alternative to traditional intraoral dental impressions, which use a putty-like substance to take physical impressions of your teeth. This method does not allow for digital assessment of your mouth, and some patients find it the process of physical impressions to be uncomfortable. CEREC Primescan uses a wand-like device, loaded with powerful imaging sensors which can capture more than 50,000 images of your mouth per second. These images are quickly stitched and compiled into a 3D image of your teeth, jaw, gums and mouth, and displayed on a high-definition screen for immediate assessment by our doctors. Using this sensor, our doctors can image your entire mouth up to 20mm in depth, including gums, blood, and bone structures, quickly and accurately. The Primescan software (as compared to the Omnicam) creates high-resolution 3D models to assess your oral health and create the very best crowns, implants, removable prosthesis, restorations, and even 3D prints. With just a few quick sweeps of the CEREC Primescan device, we’ll be able to generate an in-depth, modifiable 3D image of your mouth in minutes. Shorter wait times – We can quickly image your mouth without waiting for dental impressions to set, allowing us to treat each patient more quickly and effectively. A full jaw impression only takes 2 minutes. This adds up to less time spent in the dental chair. Real-time image processing – Our dentists can quickly adjust and modify scanned images using filters and other tools, leading to more accurate diagnostics and better overall patient outcomes. Extremely versatile – CEREC Primescan can be used for almost any dental procedure. From implant dentistry, to the creation of CEREC same day crowns, the straightening of teeth, whitening, development of dentures and partial dentures. Visit Mountain View Dental Today – The only dentist in Brighton with CEREC Primescan! If you’re interested in CEREC Primescan, Mountain View Dental is the only practice in Brighton using this technology – and we’re also one of the first dental practices in the entire US to implement CEREC Primescan. Don’t just read about the benefits of this tool, come in for your next dental appointment and see how it works for yourself! Posted March 22nd, 2019 by TheBuzz & filed under News from our Advertisers. Innovative Real Estate has been helping Coloradans buy and sell residential real estate. 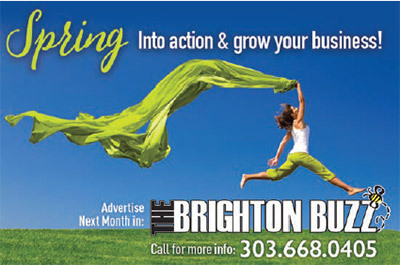 As a matter of fact, there have been ads with listings, events, and tips in the Brighton Buzz for many years. With the announcement that they joined with Berkshire Hathaway HomeServices, they also gained an avenue into commercial real estate. There isn’t an indication of slow down either. Real estate is a reflection of the economy, as a whole, and Colorado’s economy is booming. Colorado Public Radio suggested that Colorado is expected to add 53,000 jobs. University of Colorado economists forecast growth across all sectors, as well, with particularly desirable conditions in professional and business services. According to research from CBRE, the retail sector performed well in 2018. If you’re considering purchasing or selling commercial real estate in 2019, call John Dovenbarger with Berkshire Hathaway HomeServices Innovative Real Estate at 303-591-8771. He has the experience, resources, and insight to ensure you find the space you need for your business to thrive. 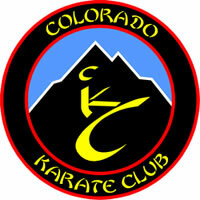 Johnny replies quickly: “No Sensei, I will say, Oss Sensei, then I’ll try to kick higher”. With that, everyone jumps up, and begins executing the drill to the best of their abilities… No excuses allowed, no excuses needed. Even at an early age, our students come to realize that excuses will never help them improve. Once they are not allowed to make excuses anymore, they become accountable and in charge of their own success. I like to look at creating this habit in our students as bestowing on them a great SUPER POWER! The “No Excuses” super power. Have you ever seen someone who is always able to do just about anything they set their mind to? Have you met someone who is never afraid of doing something because of fear of failure or ridicule? Have you even maybe heard of someone who has that Midas Touch that everything they touch succeeds? Yeah, they are few, they are the ones who possess the “no excuses” superpower. But they were not born with it, they worked at it, being accountable to themselves, every day, for their own failure or success. And, believe it or not, you can be like them too… Little by little, day by day. 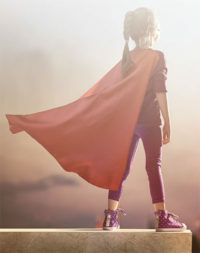 Discard the kryptonite of excuses, and become the Super Hero you were meant to be. No Excuses!